Attention parents with kids 15 years old and under! 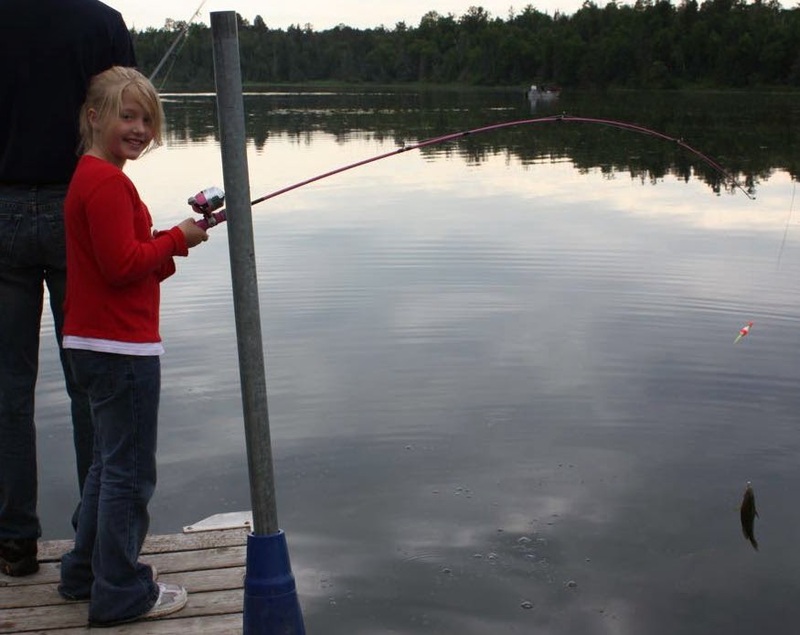 If your child would like to enter the Long Lake Area Association's Kid's Fishing Contest you can work together by sending a picture of the child with the fish that he/she caught here on Long Lake. ✓Three lucky winners will be drawn at random before the LLAA Annual Meeting. Only one chance to win per child. You do not need to be present to win. We will notify the winners using the email address of the parents that submitted their child's picture. We will also update the website with the contest winners. 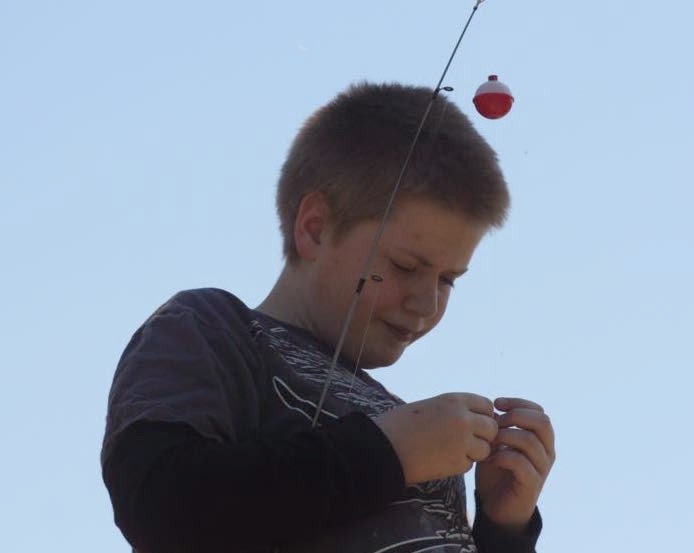 ✓Kids - We know you will enjoy the prizes and add to those fish stories! Who the child was with when he/she caught the fish. What bait was used to catch the fish. The location on Long Lake where the fish was caught. For example - on the east side of the lake near Dakota Beach. When the fish was caught. For example - the date and time of day the fish was caught. Explanation of why he/she likes to fish. For example - Suzie loves to eat fish, Johnny likes to spend time with Grandpa & Grandma in the boat, etc. The decision was made to award 4 prizes this year as there were only 4 entries. Sophia, Sophia and Ella are the winners of the 2016-17 Kids Fishing Contest. 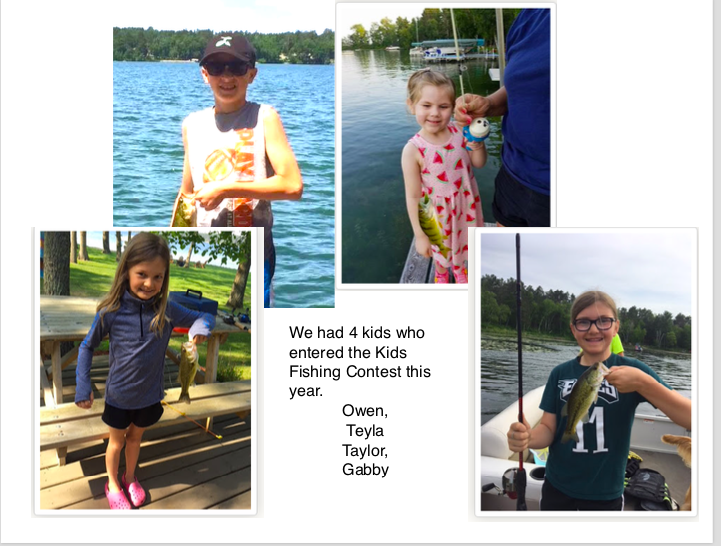 Joe, Taylor, and Belle are the winners of the 2015-2016 LLAA Kids Fishing Contest.